Late in the evening of Jan. 14, Brother Donald Paul, co-owner of the Friars’ Brewhouse Tap Room in downtown Bucksport, wasn’t feeling so hot. Eventually, Brother Kenneth Leo, his fellow Francisan Friar, decided it was bad enough to merit a trip to the emergency room, where it was determined that Brother Don, as he’s affectionately known, had suffered a massive heart attack. 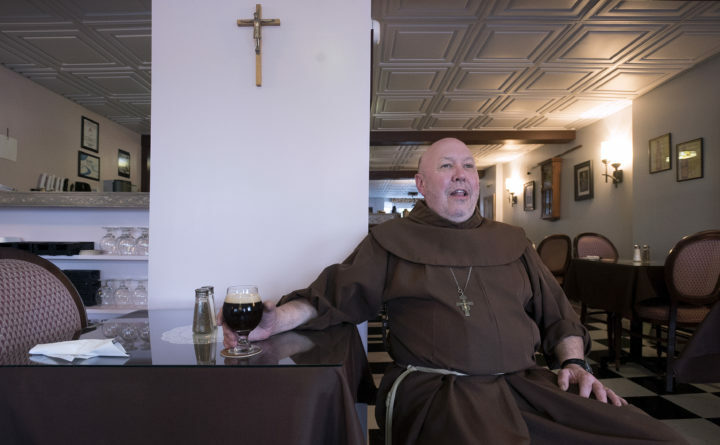 A week later, Brother Don had undergone an emergency quadruple bypass, and it was clear that the Friars’ Brewhouse Tap Room would have to stay closed indefinitely while he recuperated at their monastery, located on Orcutt Mountain in Bucksport. Less than two months after his surgery, however, Brother Don reopened the tap room in late March. The tap room, serving the Friars’ craft beers alongside Brother Don’s menu of fresh baked goods and French Canadian and pan-European appetizers and entrees, is now back to regular operating hours, and Brother Don says he’s feeling better than he has in decades. Brothers Don and Kenneth are well known in eastern Maine for their two eateries. The first, the Friars’ Bakehouse, operated on Central Street in downtown Bangor for nearly two decades, offering up hearty homemade breads, soups and sweet treats for lunch. In 2013, the brothers began selling their craft beer at stores and in a few restaurants. In February 2018, the Bangor business closed, and in April 2018, the Friars’ Brewhouse Tap Room opened in downtown Bucksport. 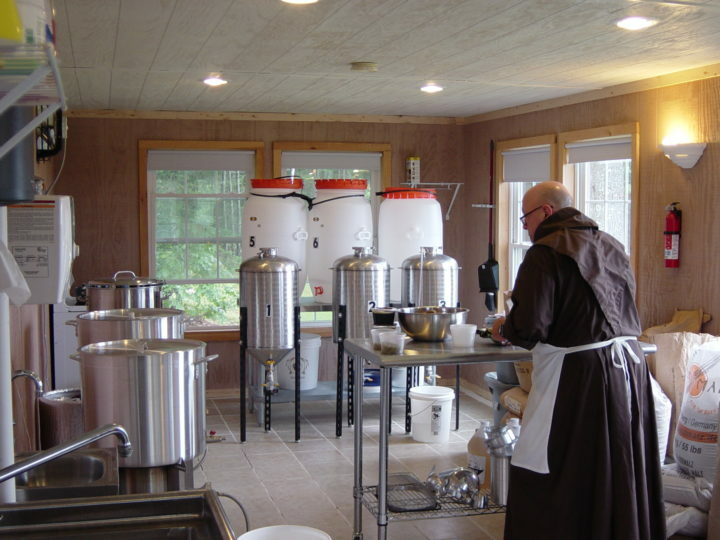 Brother Donald Paul of the Franciscan Friars of St. Elizabeth makes beer out of the Friar's new brewery on their monastery grounds in Bucksport. Brother Don said there was an outpouring of support from their church community, from local businesses and from the greater community. Longtime Friar’s customer Mary Jude started a GoFundMe page to assist the friars with paying bills while the business was closed, and since they have reopened, they have had multiple daily visitors coming in to check up on them. Brother Don credits his ability to get back to work and reopen in such a short amount of time with the fact that he diligently followed doctor’s orders when it came to recovery and rehabilitation. He’s already signed up for a triathlon in the fall.